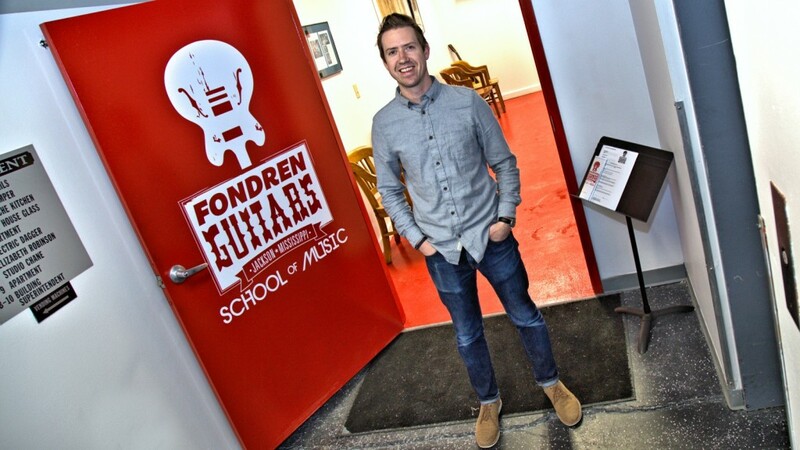 Fondren Guitars is going underground. The neighborhood’s guitar sales and service shop on Fondren Place, who recently celebrated nine years, has added three new lesson rooms and rehearsal space to the basement level of Fondren Corner. With practice rooms maxed out in the guitar shop (on nice days, some students do their lessons on the store’s front deck) and sessions running until 8pm, the additional rooms in Fondren Corner give Harkins greater potential to book more students. “We’re kicking it up a notch to a more professional level with a true ‘school of music’, teaching a curriculum, so I’m really excited,” he says. “It’s a natural, awesome expansion.” In addition, Harkins says he has hired more instructors to handle the increased load and offer lessons on even more instruments. Great job Patrick! Way to keep Fondren Funky and also a creative outlet for so many! Congrats on nine years and here’s to another 99 years!